Any Tree, Anywhere, Anytime, Truly a Family Treedition! 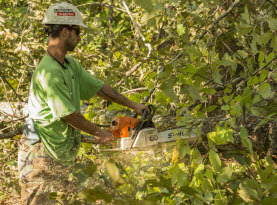 Milam’s Tree Service has spent over 20 years earning our reputation as one of Georgia’s top-quality Tree Service companies. Due to our extensive experience with local trees and terrain, we know how to work with the tree species in your yard or lot. We have state of the art equipment and the expertise to facilitate fast, friendly and superior tree services to residential, commercial and industrial customers, apartment complexes, municipalities, townships and mobile parks to name just a few. As a company that has been serving Clayton, Henry and Fayette Counties and surrounding areas for so many years, Milam’s Tree Services’ longevity is a testament to our dedication to quality craftsmanship, customer service and low prices. We have many happy customers that attest to our great customer service, affordable pricing and high quality of work. References are available upon request. Best of McDonough for 6 Years in a Row! 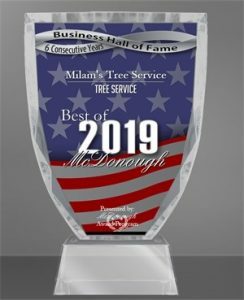 Milam’s Tree Service is proud to be among a very small group of companies that have won the Best of McDonough Award for six consecutive years. We want to give a big thanks to everyone for your support and we look forward to continuing to meet your future tree service needs! When a tree is seriously infected, destroyed by weather conditions, physically damaged or has died of other causes, it can quickly turn into a safety hazard. That’s where Milam’s Tree Service comes into play with our emergency tree removal service. 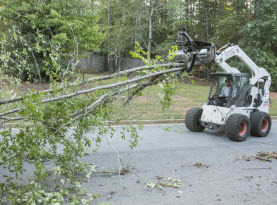 Don’t put your loved ones, home or vehicles at risk of falling trees and branches; call Milam’s Tree Service for safe and prompt emergency tree removal services and storm damage cleanup and debris hauling! While trees are fairly low maintenance, they do need tree trimming and pruning on occasion. Milam’s Tree Service are happy to come out on site and inspect your trees. If it’s a good time of year for tree trimming or pruning of that tree species, we know just where and how much to trim and prune to maintain healthy, growing trees in your yard! If you have unruly trees or want to shape them in a more desirable direction, contact us today! 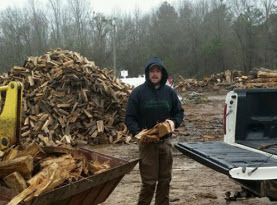 And we offer more than just tree trimming and removal – we also have a large firewood and mulch yard at 2216 Hwy, 81 East McDonough GA 30252 where we sell firewood, mulch, pine straw, top soil, fill dirt, sand etc. Our opening hours are Mon-Fri 7am–5pm and Sat 8am-2pm. PLEASE NOTE: Saturday hours are subject to change due to inclement weather. We look forward to servicing all of your tree related needs today! Stumps are a trip and fall hazard and attractive to pests, not to mention an eyesore in your yard. 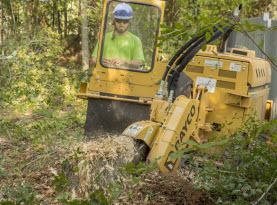 Our stump grinding process avoids digging holes in your landscape. We simply chip and and mulch the stump. Once the stump has been erased from the surface, the remains are buried with soil and fertilizer. Milam’s Tree Service can take over where nature left off and remove that ugly, old stump from your yard! Contact us to learn more.